Coca-Cola announced today in Paris a huge new marketing campaign. 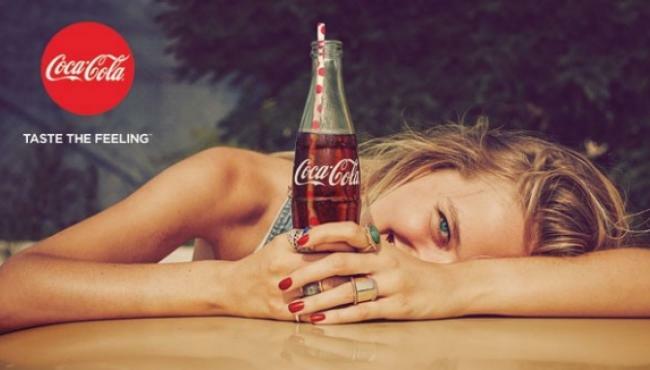 The new "One Brand" global marketing strategy that, for the first time ever, unites Coca-Cola, Coca-Cola Light/Diet Coca-Cola, Coca-Cola Zero, and Coca-Cola Life under the Coca-Cola brand positioning in one global creative campaign titled "Taste the Feeling." The new "Taste the Feeling" campaign will roll out at various times across all markets globally in 2016 and will come to life through a number of elements, including: 10 Television Commercials, 100+ Campaign Images, New Visual Identity System, New Music Anthem and Audio Signature and Shareable and Customizable Interactive Digital Experience. While Coca-Cola made no mention of the Super Bowl 50. It is expected that the rumored Coca-Cola Super Bowl 50 ad will be in line with the new "Taste The Feeling." campaign. "Every day, millions of people around the world reach for an ice cold Coca-Cola," said Marcos de Quinto, Chief Marketing Officer, The Coca-Cola Company. "The new One Brand approach will share the equity of Coca-Cola, across all Coca-Cola Trademark products, reinforcing our commitment to offer consumers choice with more clarity. This is a powerful investment behind all Coca-Cola products, showing how everyone can enjoy the specialness of an ice-cold Coca-Cola, with or without calories, with or without caffeine." The lead new TV commercial, "Anthem", comes to life through a series of ordinary moments linked by a Coca-Cola, such as ice-skating with friends, a first date, a first kiss, and a first love. The spot will run in all markets in 2016. Watch below.